Taking Dogs to the Butchart Gardens? Outside of North America most first-world countries are pretty dog-friendly. Or as I like to say: Why can’t we take our dogs to restaurants like the civilized people do? 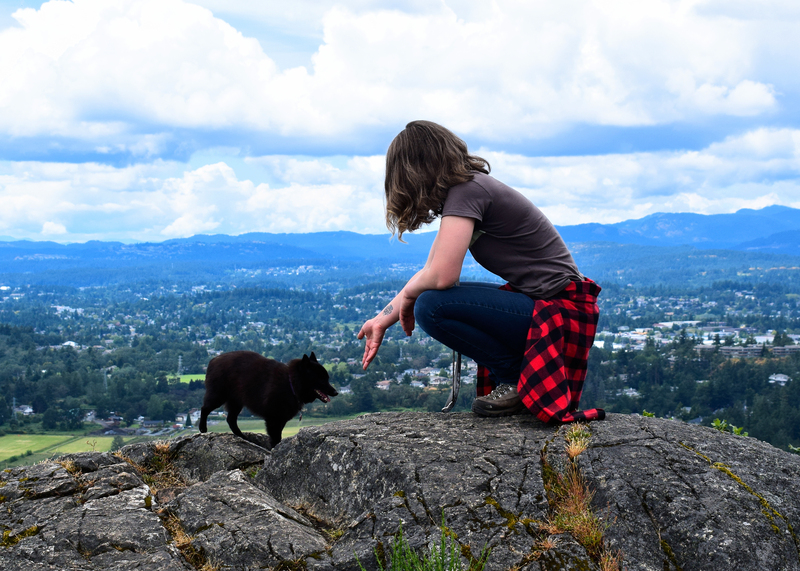 Victoria had a very strong feeling of British-ness, and I got the impression that the city really tries to embrace the dog-friendliness to the extent that is allowed in uncivilized Canada. The Butchart Gardens are no exception, and I think they might be one of the only gardens here that allows you to bring your dog. They even provide dog water fountains. Okay so first of all, how do you pronounce Butchart? A lot of people mistakenly say boo-shard, probably because we tend to associate fancy with French, but the Butcharts were actually British and so it’s pronounced exactly how it’s spelled: Butch-art. Secondly, they are so organized. You pull up to the pay booth, then you’re directed to the parking lot. Pretty normal, but then things get amazing. The lot is split into sections, with each section labeled with an animal photo. Every lot but the currently empty one is blocked off, and there are people directing the cars to line up in order until the lot is full. Then they unblock the next one and do it again. There’s no searching for a parking spot in a randomly half filled lot, no double-parkers. It was amazing. And when you finish touring the gardens it’s easy to remember where your car is parked by just remembering which animal you’re at. We were in the butterfly lot. I loved being able to bring Suki here. If I lived on the island I would definitely buy a year pass and take her on the regular. Even though I know she likes flowers at first I was a bit worried she wouldn’t enjoy this kind of setting, but as we meandered along I started to realize she was an active participant in our outing. She even read the signs. I’m kidding. Suki doesn’t know how to read that. She’s clearly looking at the French side and unless you go with an immersion school they don’t start teaching French until grade 5 or 6. While there are signs advising you to pick up after your dog, so they obviously understand that stuff happens, I think it’s generally courteous to keep your dog to the pathways whenever possible. Y’know, don’t let them run through the garden beds, make sure they don’t damage the plants, keep them leashed and under control, clean up after them if they go to the bathroom, etc. Like you’d do if you were taking a kid to the gardens. I think. I don’t know, admittedly I don’t know much about children. The crowds really explode as the day goes on, so I’d advise you show up as early as you can manage. This is especially true if you’re bringing your dog. Partly because of heat, and partly because it makes it a lot easier to maneuver with a leash when there are less people. We were a bit late getting there and I wish we had started sooner. Another thing. People will want to take your dog’s picture. I lost count of how many people asked us for a photo of Suki, and that’s just the people that asked. I caught a lot of people just snapping a photo of her as she walked by. When you arrive you’ll be given a map of the garden, as well as a list of the various plant species. The gardens are huge and split into a variety of themed sections. I took so many photos even cutting down over half of them still left me with too many for just one post, so I kept it mainly to Suki for this and next week I’ll share my other favourites. If you just do a walk-through you could probably finish in around an hour, but if you’re looking at everything and (especially) taking pictures it can takes hours to see it all. If you like plants you could honestly spend an entire day here. Would I take Suki again? Definitely.